As a SME, you need a website to communicate with your clients and prospects. If you currently do not have one, Zoho Sites can be your solution: it is a simple website builder tool. It could help you do your first steps on Internet by being an extremely affordable Saas service. Try Zoho Sites for free!Leave us a message!Let us call you back! The application is extremely intuitive to use. You can arrange the elements (text, images, videos…) through drag & drop. 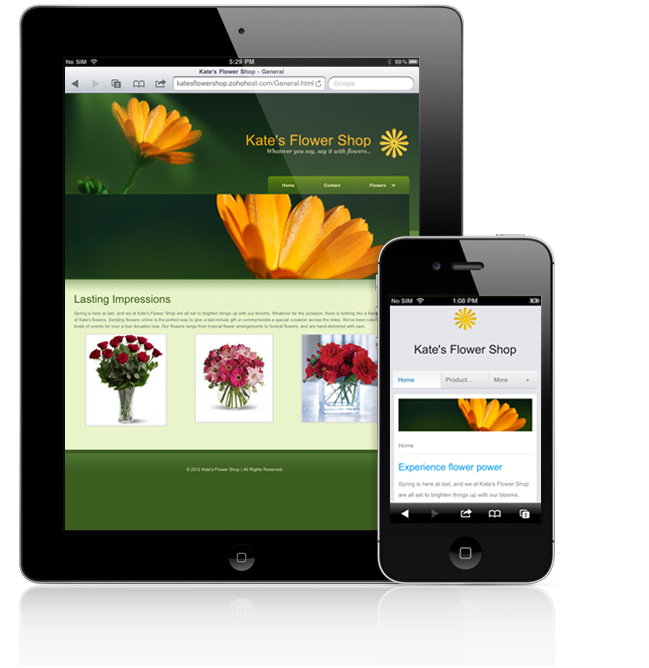 Another appreciated feature is that your website is compatible with other devices, such as smartphones or tablets. You can preview directly the output before publishing the content.